As many of us music lovers may have realized by now, Spotify has entered the US. Spotify is a DRM-based music streaming service. Spotify, instantly gives me a flashback to my days of Napster. It has similar qualities, although the look is different, and they are also taking a different approach. 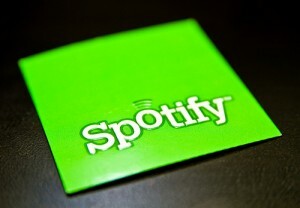 Spotify requires no downloading, and your favorite song is just a click away. Instantly, I notice some pro’s and cons of using Spotify. British political parties are definitely looking to use the Internet more in the run up to next year’s general election, but I’m not sure how welcome a mudslinging appeal on popular streaming music service Spotify is going to be. Due to Spotify’s immense success, particularly among younger people for whom politics is, generally, a complete turnoff, the Conservative Party will launch chairman Eric Pickles onto the service to attack the Labour Party and then say something along the lines of “hey, we’re really nice people really, vote for us!”. In a guest post for Techcrunch the founder of MP3.com and MP3Tunes, Michael Robertson, declares the actual online music streaming climate death. The music selling and radio business is increasingly being commoditized. Profits are being squeezed to the point of unsustainability. This spells pending doom for imeem, Pandora, Myspace Music, Slacker and the newest entrant Spotify unless there is an industry-upheaving royalty rate change. After analyzing both the massively hyped Spotify and the under Best Buy rebooted Napster he mentions that most similar sites, such as Pandora and MySpace Music, so far have failed in making a paid subscription model a viable solution. Music streaming services world wide are living a hard time and UK-based, but CBS owned Last.fm also switched to a compulsory subscription for users outside of the US, UK and Germany because so far they have failed to monetize ads sufficiently in other pats of world. These may seem dire times, but unless streaming platforms can become more global, it seems that they will struggle to sell ANY real advertising at all and if, the question is will it be sufficient to pay royalties and the rather high wages developers benefit in startups. Read the complete TC entry here. Much hyped music-streaming service Spotify has announced in the support forums that they will be rolling out CD quality streaming for premium users. This is a new feature that we will be rolling out later this week. We will offer premium subscribers the option to stream in 320 kb/s using Ogg Vorbis q9 codec. This certainly will continue to grow Spotify’s popularity and will probably also boost the uptake of premium subscriptions.